Today, more people than ever are bringing their “emotional support animals” along with them as they travel. It’s becoming more and more common to see pets on board commercial flights. Have you ever gotten to your seat on a plane and realized that there’s a super cute dog in the row behind you? Or perhaps you’ve flown with your own animal companion? Either way, you’ll love this gallery of animals (pets and otherwise) as they fly the friendly skies. Some of them are going to surprise you! If you’ve ever wondered how a horse travels by plane, you’ll want to click through and find out. The ridiculous scene you see here comes courtesy of a service monkey that was brought on a flight by his quadriplegic owner. Unfortunately, the monkey did not seem to enjoy the flight and completely flipped out. 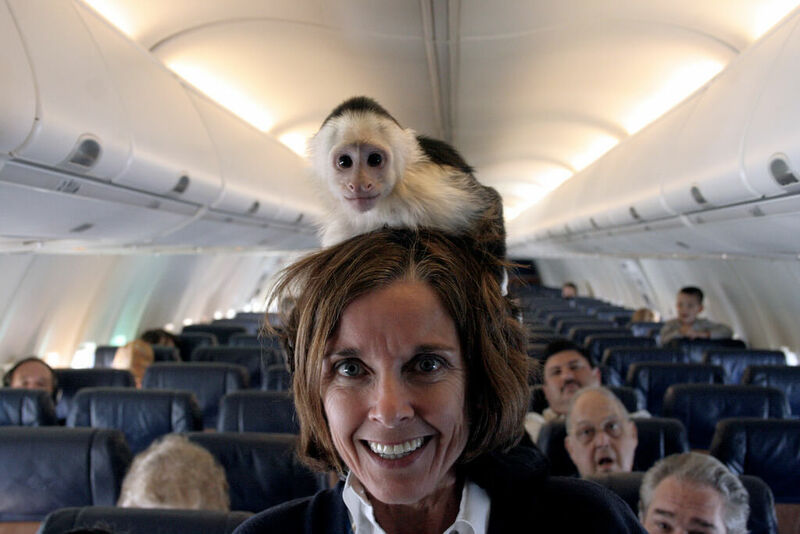 According to KiwiReport, the small primate began eating passengers’ food and throwing it before flight attendants locked it in a bathroom until the flight landed.